On Thursday 18th April 2019 at 10am, we will be releasing details of 100 Church Hill Big Local Egg Tokens located around Church Hill. 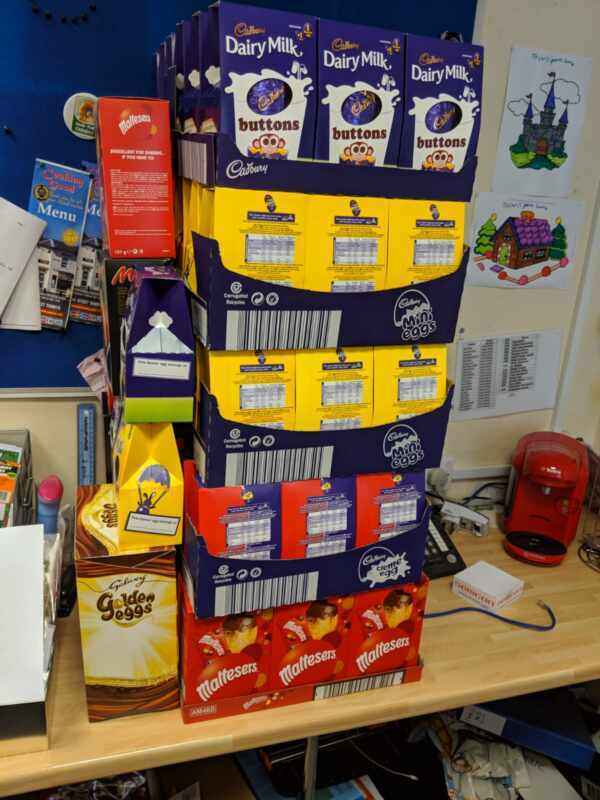 Each token will be exchangeable for a chocolate egg at the reception at Willow Trees Community Centre (Loxley Close) between 10am and 3pm on Thursday 18th April. Only 1 egg token can be redeemed per child. (ANY ADULTS MUST BE ACCOMPANIED BY A CHILD!!!). Join the Facebook event here. There will also be 1 ‘golden egg’ hidden somewhere that can be exchanged for a great big egg! 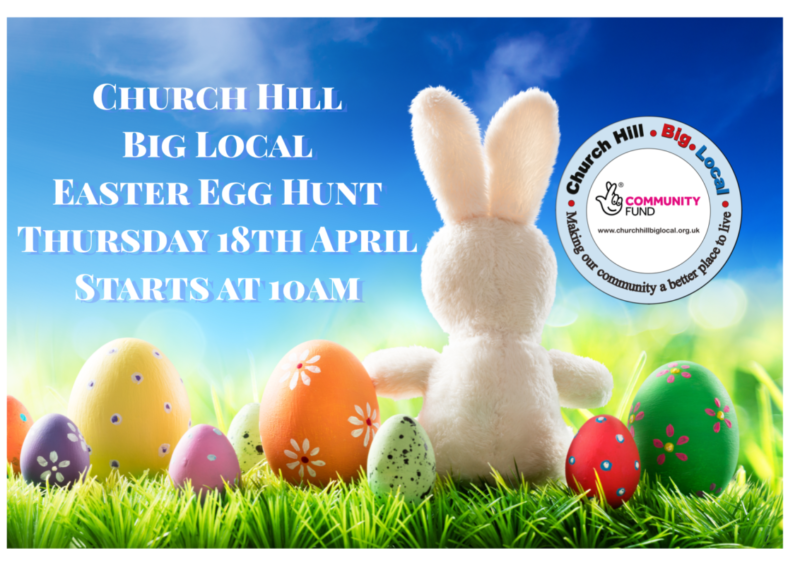 The egg tokens will be located at various places across Church Hill that Church Hill Big Local have been involved with. These may be places we have installed things, organisations/business we have partnered with or places we have held events. Clues: over the years our work has included installing benches across the estate, planting in the Centre and on Bomford Hill, and the play area at Willow Trees. We have partnered with organisations such as St. Andrews, 1st Church Hill Scouts and some of the businesses in Church Hill Centre. That’s it, no more clues until then!